From fiction to reality, AI has slowly entered our day-to-day lives. Over the past ten years, we have witnessed its evolution from simple cell phones to innovative smartphones straight to experiencing interactive interfaces and revolutionary virtual voice assistants. All these subtle changes have dramatically changed our lives. Amazon knows exactly what you like to order online, what types of movies you prefer, and Google offers you on a plater precisely what you are looking for based on your search activity. Artificial Intelligence is behind all these advancements, and the road ahead is still a long one in terms of developments and potential across virtually all industries. Some widely-appreciated AI applications in today’s world are crop monitoring and crop predictive analysis. Thanks to AI and robotics, agricultural tasks can now be easily handled and programmed remotely. Players in the industry are currently developing autonomous robots that can be easily programmed to tackle different tasks and lower the human physical labour necessary for these. Crop soil monitoring is another essential task where AI is extensively used. Learning algorithms developed to process data picked up by drones and soil sensors are also used to monitor crop health and productivity, while predictive analytics is deployed to forecast how dramatic weather changes can influence crops and productivity. The energy industry is another beneficiary of some incredible developments and smarter, more efficient working patterns, thanks to AI and Machine Learning. AI technologies integrated with smart electric grids increase efficiencies but also sustainable. AI algorithms can predict when batteries and other parts of the system will fail. AI implementation already makes the energy exploitation process easier and streamlined, offering companies in the field enormous savings space. Electric grids can become smarter and more efficient with properly-developed and implemented AI technologies. With growing importance worldwide, the sector has to find new methods to simplify energy delivery and production. For instance, a San-Francisco based company is implementing AI technologies in energy-storage and optimization of energy use. Athena is a system using data analysis to assess the time value of energy and contributes to the decision-making process, by flagging the best time to purchase energy for cost-saving purposes. It then aggregates different energy sources into a so-called virtual power plant. The system was developed in the context of a growing number of distributed energy resources (think rooftop solar panels). The healthcare sector is also enjoying streamlined processes and a faster, more accurate medical act, thanks to AI. In the healthcare sector, the AI application leads to virtually endless development possibilities. Health sensors and trackable devices monitor patients and help medical staff take more accurate decisions in the medical act. Besides, fitness tracking devices and wearables help patients have better insights on their overall health. Interconnected devices and AI interfaces help doctors closely monitor their patients, especially high-risk groups like diabetics, and predict diseases and their evolution. The pharmaceutical sector is also changed to its core by AI implementation. New drug formulations become more efficient and safer and the trial time is lowered. With the technological revolution, new security challenges have emerged. Digitalization and interconnected devices and interfaces raise new security concerns. Cybercrime has been on the rise for the past few years as well. Although in the past, critical national infrastructures were defined by transport and electricity, interconnectivity has changed the numbers of vulnerable players. Now, critical national infrastructures include healthcare, finance, security and virtually all digitalized industries out there. But the system is still lacking proper security measures, and oblivious users of the system expose it to cyber threats. Companies specialised in preventing cybercrime have created AI-enabled tools and platforms to halt and combat the risks associated with interconnectivity and digitalization. AI cybersecurity is assessing the digital system through ground-breaking techniques such as AI triangulation. The technology, although new, offers a detailed view of the subtle threats and helps reduce false positive alterts. Patents, trademarks and copyright issues have become increasingly complex over the past few years. Intellectual property challenges can, however, be easily solved with AI and ML integration, but also with blockchain technology. AI technologies protect created codes for new digital products from unauthorized reproduction. When AI tools identify unauthorized reproduction attempts, they put a digital lock on the code. IP offices have now a streamlined activity and workflow, and businesses all around the world are able to protect their creations from unlawful reproduction. With the help of AI and robotics, enterprises in the manufacturing sector can now automate and optimize their processes and production lines. Employing AI technology is allowing employees to minimize workplace injury and physically demanding task frequency. AI-enabled robots take over dangerous or demanding tasks, while internal processes led by data analysis and AI facilitate the decision-making process, allowing players in the industry to optimize internal processes and, make recommendations and assess risks and vulnerabilities. The service industry is enjoying streamlined processes and accurate decision in the AI integration context as well. Chatbots and AI-powered virtual assistants are now able to answer to uncomplicated and straightforward queries. But AI-powered technical support is due to advance a lot in the following years. We should expect AI-powered engineering, self-service, and diagnostic features but also auto-optimization of engines to offer appointment suggestions on their own. Similar AI applications have been integrated with retail platforms during the past years. Chatbots are able to answer simplistic queries, but the retail sector is experiencing a series of other perks AI is posing. Consumer data-collection is offering retail platforms to make accurate suggestions for sales-ready leads, thanks to data analysis and AI algorithms. In the near future, we should expect higher conversion rates and improved conversion capabilities generated by AI and intuitive interfaces. These platforms will be able to predict consumers’ emotional responses and mutate their shopping experience depending on these. The opportunities brought by AI and machine learning across a series of industries are expected to improve the products and services of providers worldwide. 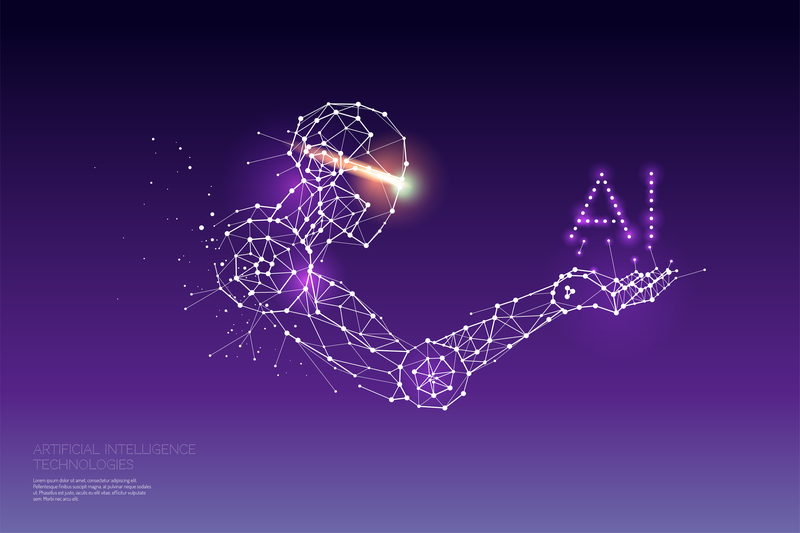 They are also expected to change the way consumers think about and interact with these enterprises, but above anything else, AI is here to facilitate our lives.